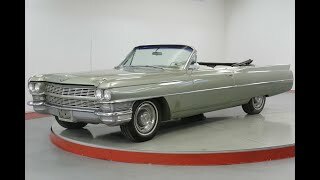 Hi, I am interested in your 1964 Cadillac Other Cadillac Models (stock #MHM3146) listed on Autotrader for $25,900. I'd like to get more information about this vehicle and confirm its availability. Worldwide Vintage Autos is pleased to present this rare and beautiful 1964 Cadillac convertible complete with the numbers matching 460 V8 motor.